What is a Hero Space? A Hero Space transcends other spaces in their service and convenience to the booker, setting an example to other spaces. For their exceptional services, they are given a Hero badge which can be seen on their profile by potential bookers. The roll out will happen city by city over the first half of 2019. What does it mean to become a Hero Space? As a Hero Space, you will receive a Hero Space badge on your page that will increase your visibility and attractiveness to bookers. How do I become a Hero Space? 1) The Spacebase Team reviews individual spaces every month to see if they are eligible for the Hero Space badge and will either activate the badge or reach out to you. 2) Eligibility is based on booker happiness, speed and quality of responses. 3) Have auto-confirmation turned on. This setting can be changed in the edit section of your space profile. Why is auto-confirmation a requirement? Auto-confirmation means bookings and reservations will be automatically confirmed when the calendar shows the space is available. Turning on auto-confirmation will greatly increase the customer experience, which is why it is one of the requirements for receiving the badge. 1) Less hassle for you: you will no longer need to manually track incoming requests. 2) More bookings mean more revenue! 3) Happier customers: which also put you on a fast track to receiving the badge. 1) I think I should have received a hero badge! What do I do? 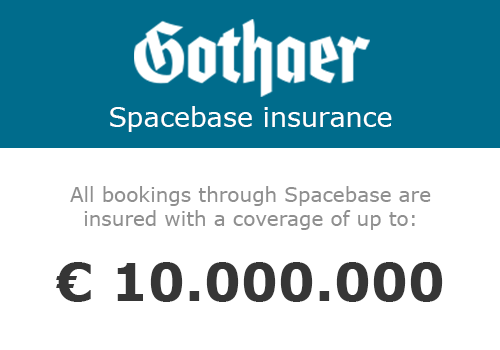 Please contact us on spaces@spacebase.com, if we have missed your space, we will correct it. Please note that the roll out is happening city by city. 2) I would love to have the badge, but I have concerns about auto-confirm. Please contact us on spaces@spacebase.com, we can answer any questions you may have. 3) I would like to activate auto-confirm but do not have a calendar set up. Please contact us on spaces@spacebase.com, we can send over guides or walk you through it step by step on the phone. Can I help you to find a space?